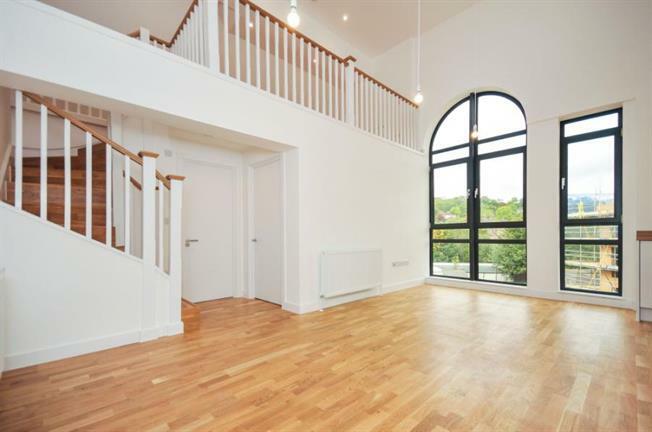 2 Bedroom Flat For Sale in Whyteleafe for £300,000. 20% HELP TO BUY A two bedroom mazzanine apartment with floor to ceiling feature window. A landmark development of 47 units comprising studios, one, two and three bedroom apartments situated in the heart of Whyteleafe. Whyteleafe Village is situated midway between the bustling centers of Caterham and Purley and benefits from two stations providing excellent links to London in 31 Minutes via East Croydon. Situated on the A22, it is only 4 miles from the M25 junction 6 and the motorway network. No 1 Whyteleafe Hill offers a mix of styles designs and prices. Whether you are a first time buyer looking for a split level one bedroom or an investor looking for a two easy to let, this development offers a superb selection. With features including full height, arched windows, mezzanine levels and attractive brickwork, each apartment will feature fully fitted kitchens and bathrooms and a security entry system. There is parking available for each property ( subject to terms).